Stream anime episodes online for free, Watch One piece Episode 80 English version online and free episodes. Anime Episode guide One piece Episode 80 English dubbed An Island without Doctors? Adventure in a Nameless Land! The Straw Hat crew manages to gain the trust of the people that attacked them, and are taken to the village, except for Zoro and Carue, who guard the ship. 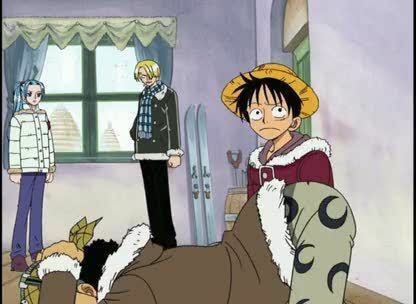 Luffy and Sanji must take Nami to the island’s sole doctor who lives on a mountain-top. Vivi and Usopp discover the past of the island, and about the pirate Wapol from Dalton.